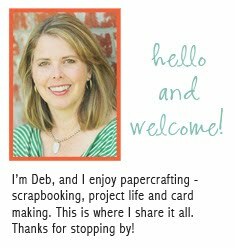 deb duty papercrafting: brinkley is 2! Happy Birthday to my niece, Brinkley! She turned two yesterday. Isn’t she the cutest? I’m a very blessed aunt. She’s so sweet and she loves her little giraffe, Stretch. I’m participating in the before and after link up today so this one is sooc. For the edit I used photoshop elements to warm up the white balance and adjust the levels. I also increased the saturation just a bit and cloned out a few stray hairs. I know I still have lots to learn about editing. I’m trying to get there! She is so adorable! Love the edit. What a cutie! Great photos. I love the edit too. Beautiful colorful photo...she is a cutie pie!!! what adorable pictures! and I love your edit too! Deb- I think it came out great. I don't think I would have done anything different. I am completely intimidated by Photoshop & I don't even have it. It has taken me a long time to get familiar with Picnik & it's basic in comparison. I think Photoshop will be my next purchase- someday when I am feeling brave & have lots of time to get proficient with it. She is so sweet..love the warmness on the edit! She is adorable! Great edit! such precious moments. the warmth really makes all the difference fixing the photo for the better. nice and simple! What a precious shot of her. So hard to believe she is two already! She is blessed to have an aunt like you to capture her beauty as she is growing up. I think you did great on the edit. And how cute is that giraffe and his name too! She is adorable, and I really love your editing!